The imprint of power in the biographies of the powerless, the view of the world from the bottom, revealing forgotten places, recalling suppressed stories, by poetic means. Anne Jelena Schulte was born in Berlin, where she now lives. She studied dramatic writing at the UdK Berlin. She often works on commission, writing plays on subjects chosen jointly with the theatre. Her most important works in recent years have been THE HOFMEISTER/GIVE ME YOUR LOVE (street-drama series for the Maxim Gorki Theatre Berlin, directed by Peter Kastenmüller) in 2011, and WORRINGER SCHLACHTEN (Schauspielhaus Düsseldorf, directed by Nurkan Erpulat) and SOFJA (a play about Russian mathematician Sofja Kowalewskaja, Deutsches Theater Göttingen, directed by Antje Thoms) in 2013. 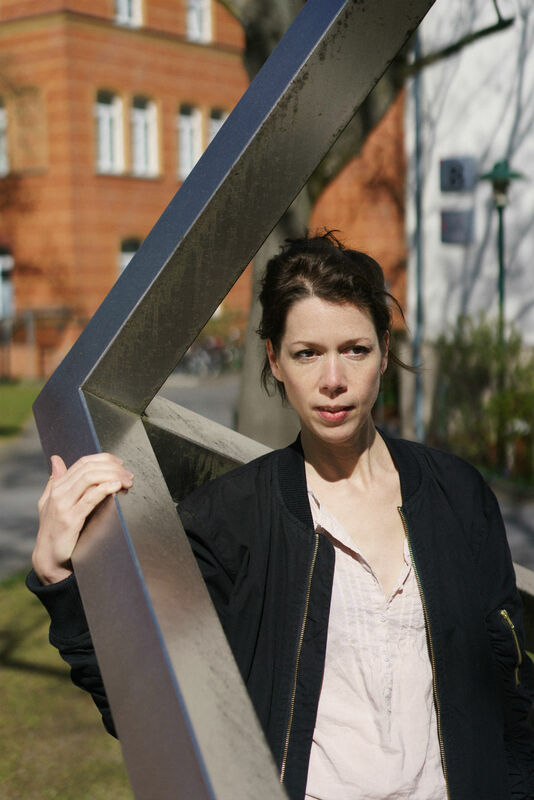 She has written two plays for Deutsches Theater Berlin: 2014’s ZUR NOT NE STULLE WENIGER (working class stories from Prenzlauer Berg, directed by Antje Thoms) and WODKA-KÄFER in 2015 (after “Berliner Mietshaus” by Irina Liebmann, directed by Brit Bartkowiak). She works for the “Nachrufe” section of the Berlin newspaper Tagesspiegel, which publishes biographies of unknown Berlin residents. Hundreds of thousands of Europeans fleeing war and poverty were lured abroad by the promise of “white gold” – cotton – as they called it in Argentina. Hoping for a better life, they boarded ships to Argentina to grow cotton under the subtropical sun of Chaco province. The play’s author, Anne Jelena Schulte, visited the region to collect the stories of those involved, from harvest hands and small farmers to agricultural engineers and the “king of cotton”, and to document the cotton farming life, now dominated by the modern, globalized agriculture industry. The dramatic basis of the play is formed by the European émigrés’ family legends; stories that start in the Europe of the last century and are continued in present-day Argentina, where major concerns like Monsanto are raking in the profits. As hard and cheerless as life still is for many people there, the dream of white gold, bringing not only prosperity but also peace, security and justice, lives on. This is a play based on an authentic case, that of Joachim Schwahr, born 1922, who was tried by a Russian military tribunal on a (constructed) charge of espionage and sentenced to 25 years in a labour camp. Spending 8 years in Bautzen and Torgau prisons, he endured harassment, blackmail, hunger and cold. In constant fear of betraying his family and friends, he contracted tuberculosis and temporarily suffered from hallucinations. After his release, he flees to West Berlin, where he tries to build a new life. But weakened by the traumatic experience of imprisonment, he suffers another breakdown. He applies for financial support under a law to benefit former political prisoners of the GDR but gets caught in a web of bureaucracy and exhausting litigation against the welfare office. When the doctor and psychologist rule he is ineligible for compensation, thoughts of revenge grow within Joachim Schwahr. Convinced he was exposed to manipulation through chemical substances and psycho-therapeutic methods while imprisoned, he decides to use precisely these methods on the doctor and everyone else who let him down. He puts his plan into practice, poisoning several people with the psycho-active grain fungus ergot, which plunged entire villages into fatal hallucinatory states during the Middle Ages, when it was known as “Saint Anthony’s Fire”. Witches were blamed then; now it is Joachim Schwahr who is burnt at the bureaucratic stake and dies a martyr’s death. Anne Jelena Schulte is concerned above all with the question of society’s responsibility for the individual, and the failure of both the communist and the capitalist systems.